I have recently started running. I’ve always technically ran in the sports I’ve actively taken part in (mainly ultimate frisbee and soccer), but never really enjoyed just running. I’ve decided to change that and have been running according to the Couch to 5k plan, which has been awesome so far. The plan intersperses running and walking and gradually changes the ratio of running to walking over 9 weeks until you are finally running 5k (~3.1 miles). Also, the iPhone app is phenomenal. Last night I went to bed planning to wake up at 7 and get a run in. Forcing myself out of bed at 7:27 (thanks to snooze button love), my morning was promptly shot as I found out that may car may be considered totaled via the highly rude method of a text message – at 7:30am. Good morning news, right? Today was my first “real world” run, as in not on the UCF Gym indoor track. 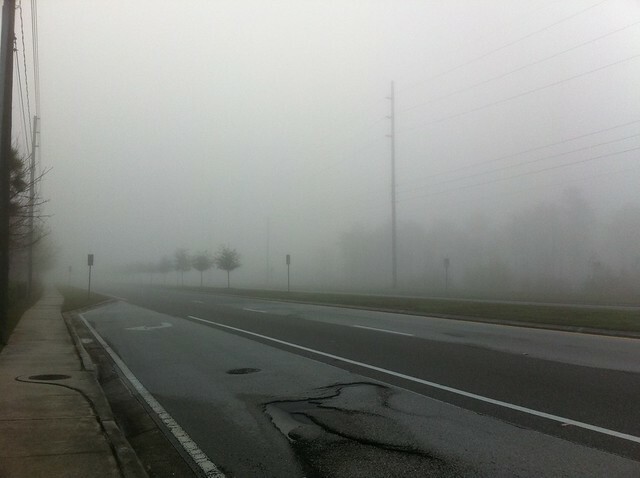 The weather was foggy and beautiful and I was excited to run in the cool 59 degree weather. I put my iPhone on my “chill tunes” playlist, hit shuffle and got started. 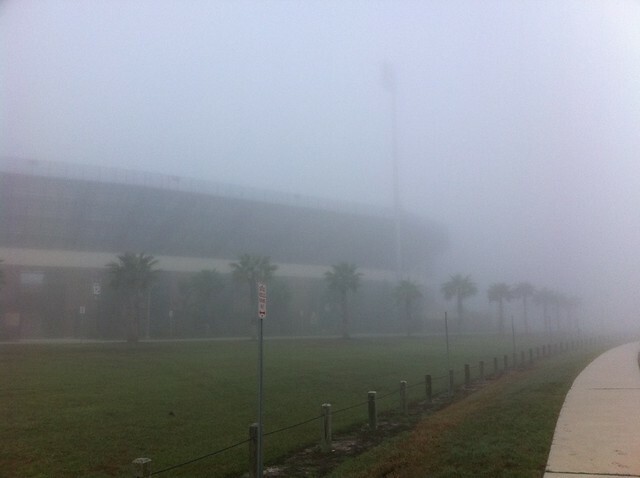 Then “Goodnight, Travel Well” by The Killers started playing, and I was over by the UCF Football Stadium, completely surrounded by fog, only able to see a few yards around me on all sides and felt completely overwhelmed by everything that’s been happening lately, car-related, school-related, work-related, etc. The song is really moving, starting off slowly and building up into an epic of a song. By the end of it, I was crying and running and tired and just letting everything go. My run continued, the music continued. “Fall Away” by The Fray and “All I Need” by Radiohead really calmed me down. Both somber-ish songs with powerful messages that I’ve always loved. Finally “1901” by Phoenix came on as I was walking back into my complex and this upbeat, fun song has set the tone for the rest of my day: everything will be fine. Next time flies, etc, etc.